Yep, that was a nightmare: the sit-up-straight-oh-my-god kind, where the unthinkable happens. The "unthinkable" usually has nothing to do with your real life, but occasionally, the nightmare may re-enact a real-life horrific, traumatizing event. When we start over in life, irrational scared-to-hell fear is bound to happen. After all, the many emotional challenges we face are immense. During the day, we can train our brains with the power of positive thinking -- or at least manage the demons of doubt. But at night? Forget it. Our thoughts are unleashed. In sleep, our brains are free to express our deepest fears in ways that we could never conjure up consciously. No one said re-invention would be easy, but nightmares? Be reassured, having them is normal. I know, however, that that's not much consolation when you're alone and trembling in the wee small hours. 1. No coffee, nicotine, alcohol or sugary food within three hours of bedtime. They inhibit those warm, fuzzy sleep patterns we need and encourage the demons of dark dreams. 2. Don't watch or listen to the news after 4 p.m. And put away your smartphone in the hour before bed. That means no news, starting with your commute home. News about war, disease and unrest will only give you to frightmares. Also, research shows that looking at a smartphone, laptop computer or any gadget with an LED screen within 60 minutes of bedtime inhibits a good night's rest. Do you watch TV shows laced with violence? Record them and watch them over the weekend. 3. Go to bed 30 minutes before you turn off the light. Empty out your worries by writing in a journal. Add a few gratitudes if fear is gripping you. Then, scrunch down in bed and tell yourself you feel safe, that everything will work out. Read something funny or inspiring. 4. Allow yourself at least eight hours of sleep. If you wake up frequently during the night, adjust to nine hours. 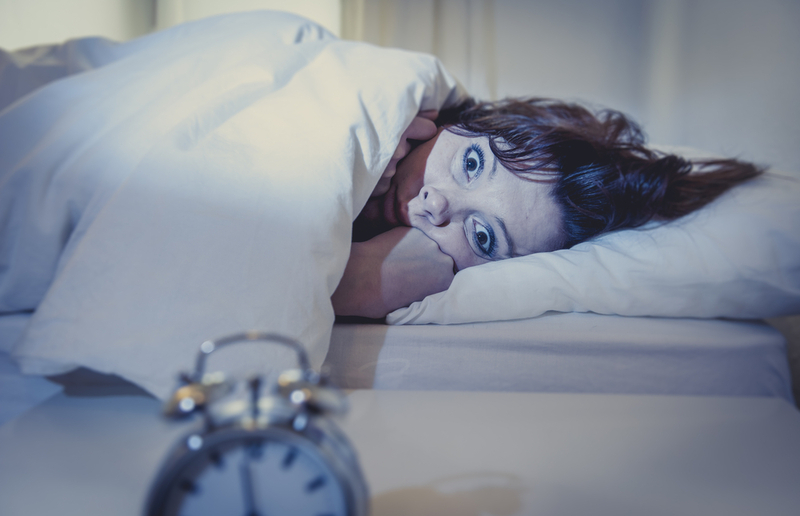 Sleep deprivation leads to exhaustion, anxiety, and is a direct route to nightmares. 5. Know this: What just happened is a nightmare, not reality! Don't read anything into it. It's your mind clearing out garbage. It's purely fiction. 6. Take a slow, deep breath. Then sit up. Get out of bed when you can move. Get a drink of water. Change the energy. 7. Change the dream's ending. Recreate the dream with you victorious and happy. 8. If your mind continues to race, you can stop your mind. Author Eckhart Tolle suggests we focus on a part of our body to stop focusing on scary thoughts. For instance, think about your hands until you feel them tingle. He talks with Oprah on how to silence the voices in your head. 9. Do NOT research your dream on the Internet. The Web is the Wild West, with no guarantee of accurate information. Besides, concentrating on a nightmare keeps it at the top of your mind, and increases odds of recurrence. 10. Do something very nice for yourself. Most bad dreams come from anxiety and overload. Plan time to relax for 20 extra minutes with an activity you love: listening to music, taking a hot bath, going for a walk, cooking, meditating. Important Note: If your nightmares continue (every night), get professional help. See your medical professional, a therapist, or an alternative medicine professional. Find someone who can help you deal with the root cause of your bad dreams. Re-creating ourselves can be joyful and energizing, but -- let's be honest -- also laden with deep fears that can ignite hideous nightmares. We can't stop them, but we can keep the bumps in the night to a minimum. To wipe out the effects of your bad dreams, start your day with a morning inspiration to get you energized. Visit http://www.katherineforsythe.com/inspiration/ for my 30-day audio download of inspirational (and often funny) messages to kick start your day for 30 days. Contact me personally if you need to talk about your bad dreams or your personal challenges at http://www.katherineforsythe.com/contact-2/.